Digital learning solutions have enriched the way we learn and opened up new opportunities to enhance or, in some cases, to replace the more traditional course/classroom-based approach. Due to its accessibility, ease of use, visual appeal and mass-scalability, it’s easy to see why digital learning is becoming a popular choice for many employers. The different options available are hugely diverse. To those outside the online learning industry (and even some with extensive experience) it can be difficult to work out what the key difference is between different types of digital learning and what particular terms refer to. 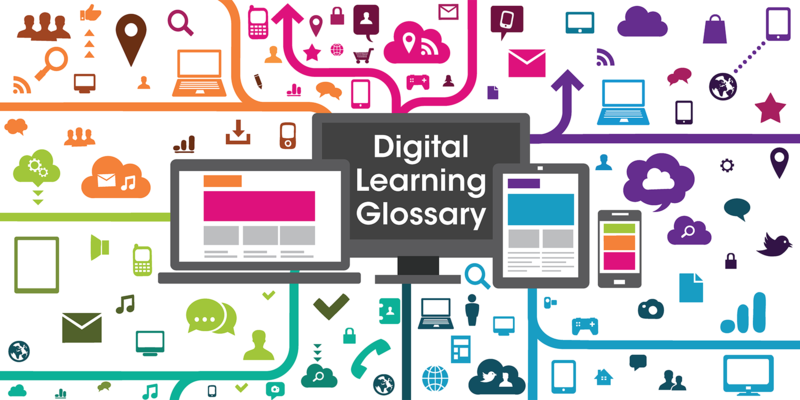 Here we provide a glossary of some key terms for those outside the digital learning bubble. If you come across another term you’re unsure of, please add it in the comments section and we’ll provide you with a simple definition. Or if we’re unsure… we’ll ask the wider community for you. Beginning with digital learning itself… digital learning is any type of learning that uses digital technology and enables learners to gain knowledge and skills. This encompasses a variety of ‘online’ solutions. Here we provide a basic definition and explanation for each. Click on the plus icon to learn more about each solution. Simply put, blended/hybrid learning combines digital learning and face-to-face training, workshops or coaching. Learners’ complete digital/online solutions, which could include any number of activities, before attending a face-to-face event. Digital solutions that are completed ahead of a face-to-face event can free up the classroom time for more practical activities like ‘real world’ exercises or role-play. In the hybrid model, digital solutions are also often used for embedding learning after a face-to-face event. Mobile Learning, also known as m-learning, aims to provide continuous learning, ‘on the go’, via a mobile device. Learning is often presented in easy to consume, bite size, chunks that learners can fit around their daily life. M-learning can take the form of short videos, audio/podcasts, webstories, infographics, learning apps and many more. It is usually designed to work well on a smaller screen for ease of use on a smart phone or tablet. An app (short for application) can be any type of computer programme, in other words a piece of software. Microsoft Word is an app. 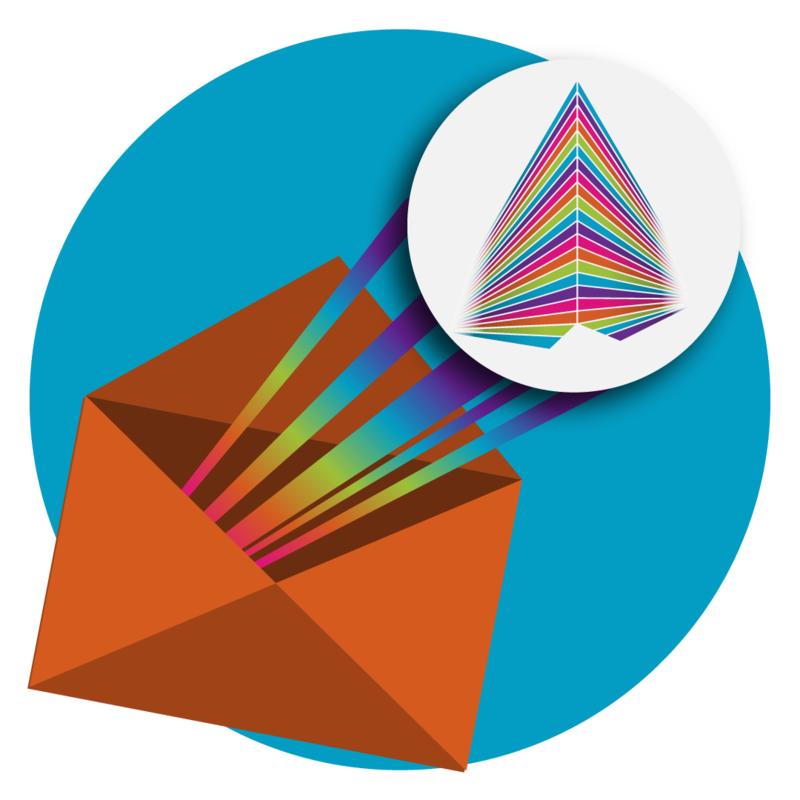 A mobile app refers to a programme developed specifically for use on a mobile device like your smart phone or tablet. Many learning platforms come with an accompanying mobile app. Mobile apps often allow you to download learning resources and then access them even when you aren’t connected to the internet. Which can be great when commuting. In other cases, a mobile app might provide a faster, more efficient, or more ‘mobile friendly’ experience on a mobile device. If an app is available, its usually a good idea to check it out, as it may work better on your phone or tablet than the corresponding website or online platform, as the app has been specifically designed for mobile use. E-learning is literally learning conducted via electronic media. It is really an older term for digital learning or online learning. However, e-learning is often used more specifically to refer to structured digital learning programmes, comprised of specific modules that learners complete in a more traditional way than say m-learning. E-learning can be highly interactive and usually includes text, video, audio, quizzes & activities. An e-book is a digital version of a book, designed to be read on a mobile device or e-reader (like a Kindle). It can include text, images & graphics. Gamification sees the principles of gaming brought into a learning environment. It is particularly prevalent in online learning. Gamification can involve any typical elements of game playing (e.g. competition) being used in a learning environment. However, increasingly learning professionals are looking at what makes online games so successful. Learning designers are increasingly exploring which principles, approaches and even software can be borrowed from the online gaming industry and adapted to make learning more engaging and impactful. Gamified learning often includes points systems, different levels, awards & leader boards. Gamification usually aims to add an element of fun, to increase engagement & motivation and to encourage further improvement. Computer based training or CBT has been around for a long time and could include any learning that is delivered via a computer. Before the widespread use of the internet, this might have meant a CD ROM or even a floppy disk. It often required software which meant it could only be accessed at work. With modern technology, this isn’t always the case now. CBT has adapted with the times and increasingly incorporates gamification, m-learning and other new principles. AR is increasingly being used in learning, often to help learners apply their skills in a practical, safe environment. It is particularly useful for practice simulations where there is a business risk, expense or practical challenge in practising a scenario in ‘full reality’. AR can be quite costly to create, but has lots of potential for learning. Virtual Reality, or VR, refers to computer-generated environments designed to simulate a person’s presence in a specific setting. The learner is immersed in a highly realistic setting, where they can move around, manipulate objects and complete actions in the digital environment in the same way they would in the real world. Headsets, or other immersive equipment, are generally required. The simulation of a real-world environment for training and education. The development of an imaginary environment for a game or interactive story. Like Augmented Reality, VR can provide a safe, risk free way for learners to practise or be tested. For example, pilots are often trained using VR flight simulators. Unfortunately, VR often has a high price point as not only does the virtual environment need to be designed and created, but firms also need to buy the headsets or simulators to enable learners to enter this world. In order to make it more accessible, we need to focus on creating VR experiences for devices we already have, like our smart phones. Big data refers to the analysis and use of larger, more complex, sets of data that can’t be analysed by traditional data processing software. The terms volume, velocity and variety usually go hand in hand with big data. We are producing ever-increasing volumes of data that are being generated at different velocities and come from a wide variety of sources. If the data is accurate, when analysed it can provide highly valuable information. The power of big data is in its analysis. Big data is enabling businesses to address problems that they would not have been able to in years gone by. In learning and development, big data allows learners’ behaviours and interactions during the learning process to be examined. Analysis can show us how to improve the design of learning systems, materials and activities. It can help us create more personalised learning journeys based on the analysis of how learners are performing at work, how they interact with digital mediums and how they respond to existing learning content, etc. Is there anything you would add to the definitions above? Have you come across a term you would like us to explain for you? Add these to the comments below. Want to learn more about the benefits of online and mobile learning. Enter your details below to download our white paper.